As some of you may know, Kev and I recently celebrated our 2 year anniversary. Routinely, like every year, Kev and I bought each other something special. Although this year we thought we would spend a little less than what we would normally. Our relationship isn’t built on money and material items and I wanted that to be clear. Nonetheless, I wanted to share with you what Kev purchased for me for our 2 years – I’m not going to lie, I did secretly help him pick this out. Guilty as charged. And that was the Yankee Candle: Clean Cotton. I’ve been quite obsessed with candles and anything pretty for some time now, but just recently I stumbled upon Yankee Candles. I’m at the point of no return. They come in such unique scents, such as mine “Clean Cotton” which matter-of-factly does smell like clean linen. I could let the candle burn all day and not get sick of it. 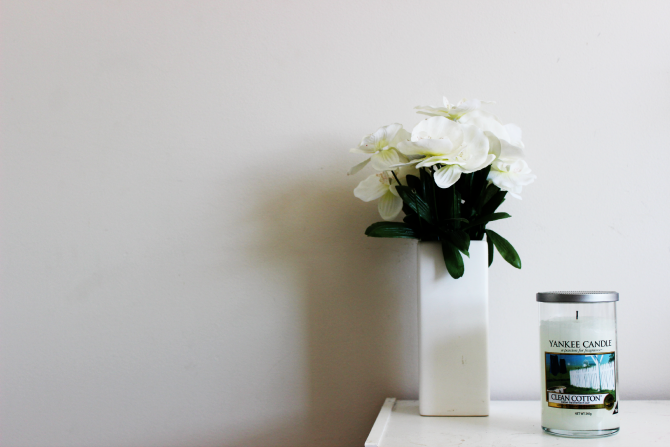 Not to mention, it goes with the theme of my room: White, clean and crisp. What’s your favourite brand of candle? Yankee Candles do have really unique scents. Their pomegranate lemonade one is pretty stellar. Loving the elegance of these photographs.. I'm waiting until I get my own home (must finish education first!) because at the moment my room is so cluttered from childhood things that I feel like you wouldn't even be able to notice a candle! 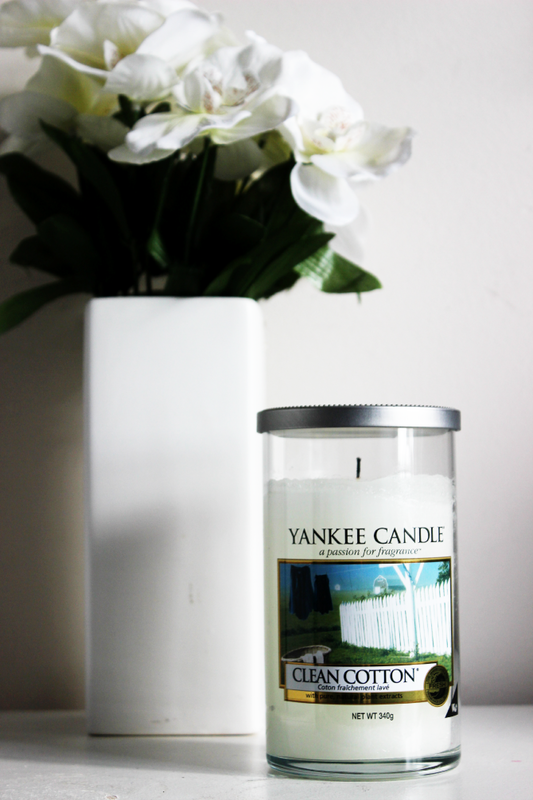 I love smelling Yankee Candles though and one day I will get one! I'm such a wintery, homely scent person so the ones I like at usually cinnamon etc, but I guess I haven't tried many others! ahhh! I really want a Yankee candle, they are so beautiful!